Ars Lyrica’s primary educational goal is to make early music engaging and accessible for young people who would otherwise seldom encounter live classical music. To help children experience the world of early music, Ars Lyrica has developed three educational outreach programs for schools. “Harp History” traces the development of the harp from the Middle Ages to modern times and is specifically designed for K-5 students to address and enhance the requirements of STAAR (State of Texas Assessment of Academic Resources) standards. “Renaissance Rock” introduces K-12 students to period dances plus an array of period instruments including recorders, shawms, crumhorns, and bagpipes. Both are interactive in nature and designed to connect children intellectually and physically with an earlier culture. The success of “Harp History” and “Renaissance Rock” inspired Ars Lyrica staff to develop a bilingual program in 2015 titled "Songs from the Heart," which introduces K-12 students to early vocal literature and period instruments. In "Renaissance Rock," The Crumhorn Collective, dressed in historical attire, introduces K-12 students to over twenty fascinating wind and string instruments of the Renaissance. This energetic program brings history to life in rock star fashion, with a set-list that includes Europe's most beloved Medieval, Renaissance, and Baroque dance & consort hits from 1400 to 1720. Through this lighthearted and highly interactive program, students explore the unique sound and instrumentation of Renaissance music while learning about earlier European cultures. This project is funded in part by a grant from the City of Houston; City's Initiative; City's Initiative Program through the Houston Arts Alliance. 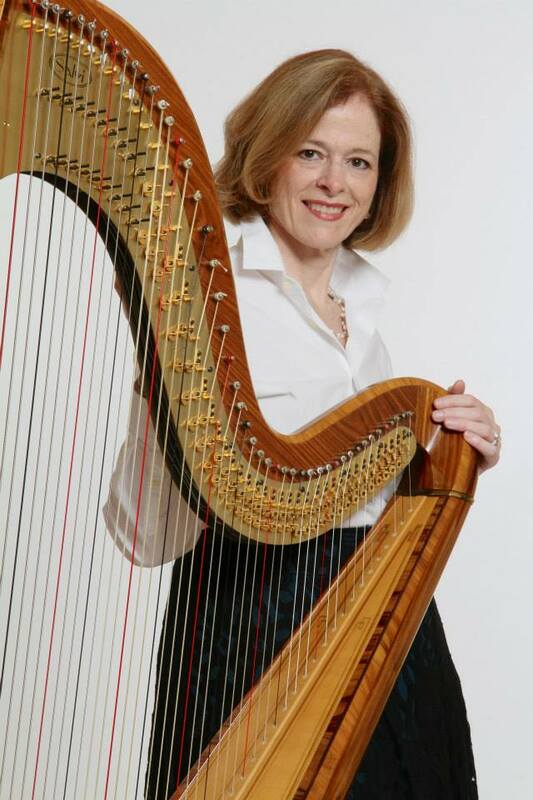 Seasoned educator and recording artist Therese Honey presents "Harp History," a demonstration program that traces the evolution of the harp through Medieval, Renaissance and Modern times. Excellent for PK-5 students, this program brings ancient and modern-day harps into the classroom, striving to give students an understanding of how instruments produce sound and evolve over time. Key to this program are basic musical and acoustic concepts: Shape, pitch, vibration, resonance and echo are demonstrated with the active participation of students. "Harp History" includes a hands-on section, where students can play the instruments. "Songs from the Heart" is an interactive, bilingual program that introduces K-12 students to early vocal literature and period instruments with an emphasis on Spanish & Latin American cultures. This program, curated by mezzo-soprano Cecilia Duarte, percussionist Jesús Pacheco and gambist Pedro Funes, features impassioned solo vocal works accompanied by percussion instruments and the historical viola da gamba. "Songs from the Heart" connects students to the musical heritage of earlier Spanish & Latin American cultures while examining the different roles in a classical music ensemble. To book an Outreach Performance in your school, please email us at rwarden@arslyricahouston.org or call Ars Lyrica's office at 713-622-7443. The Crumhorn Collective was founded in 2009 as a completely student-run renaissance band based at Rice University’s Shepherd School of Music. They have since gathered a sizable following through frequent outreach performances, concerts at private events, and lecture recitals, all performed on combinations of crumhorns, recorders, bagpipes, cornemuses, shawms, dulcian, viols, hurdy-gurdy, sackbut, cornetti, lute, and percussion. With their impressive arsenal of instruments, and exceptionally energetic and interactive programs, the group has gained extensive outreach experience in many of Houston's public schools, as well as at Ars Lyrica events, and performances at The Centrum, Miller Outdoor Theatre, and on The Hobby Center's Discovery Series. In 2010 they were awarded a Richter grant for music outreach, performed at Rice University’s McMurtry College Dedication, and were honored to premier a piece written for them by renowned composer Karim Al-Zand. The Crumhorn Collective is delighted to continue their relationship with Ars Lyrica Houston as their Resident Young Artist Ensemble this season. Mezzo-Soprano Cecilia Duarte last appeared with Ars Lyrica Houston as the Angel in Handel's Jephtha. She created the role of Renata in the first opera with mariachi music Cruzar la Cara de la Luna with Houston Grand Opera, touring with it to the Théâtre du Châtelet in Paris, France, and then in later performances at Chicago Lyric Opera, Houston Grand Opera (revival), San Diego Opera, Arizona Opera, and Fort Worth Opera. Cecilia is an active performer in the circle of contemporary music, and has premiered several works, such as Ethan Greene’s A Way Home (HGO and Opera Southwest), David Hanlon’s Past the Checkpoints, The Ninth November I was Hiding, and After the Storm, (HGO) and most recently, the opera Some Light Emerges also with HGO. An early music enthusiast, Cecilia has performed at the Oregon Bach Festival, the Festivalensemble in Stuttgart, Germany, and the Festival de Música Barroca of San Miguel de Allende, Mexico, as well as performing often with the Bach Society Houston, Mercury, the Orchestra Redefined, and Ars Lyrica Houston. Past performances include Zerlina in Don Giovanni (Opera in the Heights), Jessie Lydell in A Coffin in Egypt (HGO), and Sarelda in The Inspector, Tituba in The Crucible, and Loma Williams in Cold Sassy Tree with the University of Houston. Future performances include the Christmas Neighborhood Series with Mercury in November-December and a new production of Cruzar la Cara de la Luna with New York City Opera in January of 2018. Pedro Funes is currently the Assistant Orchestra Director at Oak Ridge High School in Conroe ISD. He graduated in 2007 from the University of Houston where he majored in Double Bass performance under Dennis Whittaker. In addition, he received his Master's Degree in Early Music at Jacobs School of Music at Indiana University where he was the recipient of an Associate Instructorship. Mr. Funes studied viola gamba and vielle with Wendy Gillespie and performed baroque bass in the IU Baroque Orchestra under Stanley Ritchie. He has performed in master classes for Alison Crum, Mary Springfels, and Brent Wissick. In past summers he has attended the Texas Music Festival, Gark Karr Kamp, VdGSA Conclave, and Tafelmusik Baroque Institute. In Fall 2011 he co-founded Les Touches and in Summer 2015, the ensemble was afinalist for the York International Young Artist Competition. He was the Teaching Assistant for the Beginner Viols at Conclave 2016. He has performed with Austin Baroque Orchestra, Ars Lyrica and Texas Early Music Project. Currently he is the President of Viols of Houston , Vice President of Houston Early Music, Director of the Young Players Weekend for the Viola Da Gamba Society of America and Principal Bass for Austin Baroque Orchestra. Fall 2015 he received a Loan Consort from Viola Da Gamba Society of America and started a viol class at Oak Ridge High School with 14 students in the initial program. Childhood fascination with the harp blossomed into an exciting and successful career as a professional harpist and recording artist for this Houston native. As a self-proclaimed â€œcrusader for music of great heritage, Therese Honey draws on her vast knowledge of early music history and her stunning virtuosity to bring alive for her audiences the incredibly beautiful music of the Middle Ages, Renaissance and Baroque eras. Honey's unique specialization keeps her in demand for lectures, concerts and festival engagements across the United States. With a vast and varied repertoire that includes familiar classical and popular favorites, she is a first choice for performances at social occasions as a soloist or with chamber groups. Therese Honey delights and entertains her listeners when she performs on any one of her collection of harps, which range in size from the modern gold Concert Grand harp to the ancient Celtic harp. Therese Honey is a specialist in Celtic and Early harps, with a background in classical pedal harp. Therese tours throughout the United States and in 1997 she performed at the 20th Annual Carolan Festival in Keadue, Co. Roscommon, Ireland.